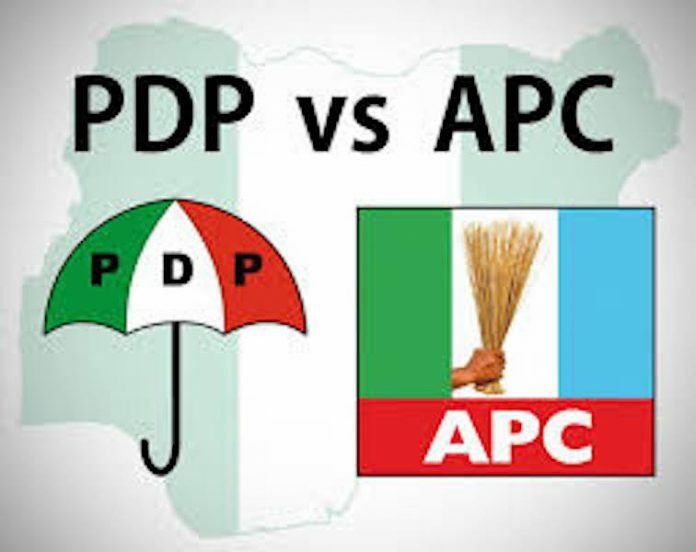 The All Progressives Congress (APC) has said that it is ready to extend a hand of fellowship to members of the main opposition Peoples Democratic Party (PDP) in the formation of the leadership of the National Assembly. The new position by APC contradicted the earlier statement by the National chairman of APC, Adams Oshiomhole, that the ruling party would not work with the main opposition party. However, following the decision of some of its members who are contenders for the Senate President’s position to ignore the endorsement of Senator Ahmed Lawan for the office, APC appears to be toeing a reconciliatory path. In a statement issued yesterday by its National Publicity Secretary, Mallam Lanre Isa-Onilu, the party said it was not averse to its members in the National Assembly holding consultations with members of the opposition over the election of leaders into the 9th National Assembly. “We are inundated with reports of our members in the National Assembly holding consultations with members of the opposition over the election of leaders into the 9th National Assembly. Let me state that our party has no objection to such consultations,” it said. APC said that it was a normal democratic practice all over the world to stretch hands across the divides. It also said that contrary to some media reports, “the actions of our members do not contradict the party’s position. “APC has comfortable majority in both chambers, therefore; we have the number to produce the leadership. “But democracy recognises the importance of the opposition, especially when you do not have two-third which would be required at some very critical situations,” it said. “For us as a ruling party, we understand that a stable and peaceful National Assembly would enhance our capacity to deliver more for the people of Nigeria. “So, the party is not averse to negotiation by Senator Ahmed Lawan and our other Senators-elect working to fulfil the position taken by our party,” it said. APC noted that one of the key considerations for adopting Senator Lawan as the party’s candidate for the Senate Presidency is his ability to carry everyone along, adding that the party has confidence in him not to compromise its progressive ideology. “So, clearly, Senator Lawan is capable of conducting his negotiations within the prism of APC’s objectives”, the party assured. On zoning and Leadership of House of Representatives, APC said that it would soon release the zoning arrangements for the principal positions of the incoming 9th National Assembly.